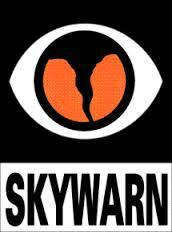 SKYWARN™ Recognition Day was developed in 1999 by the National Weather Service and the American Radio Relay League. It celebrates the contributions that volunteer SKYWARN™ radio operators make to the National Weather Service. During the day SKYWARN™ operators visit NWS offices and contact other radio operators across the world. 1. Object For all amateur stations to exchange QSO information with as many National Weather Service Stations as possible on 80, 40, 20, 15, 10, 6, and 2 meter bands plus the 70 centimeter band. Contacts via repeaters are permitted. 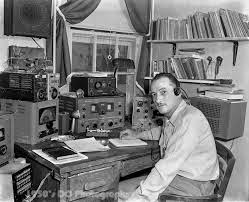 SKYWARN™ Recognition Day serves to celebrate the contributions to public safety made by amateur radio operators during threatening weather. 2. Date NWS stations will operate December 1, 2018, from 0000 - 2400 UTC. 3. Exchange: Call sign, signal report, QTH, and a one or two-word description of the weather occurring at your site ("sunny", "partly cloudy", "windy", etc.). 4. 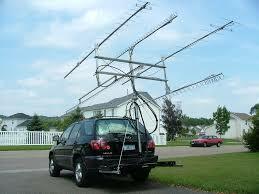 Modes: NWS stations will work various modes including SSB, FM, AM, RTTY, CW, FT8 and PSK31. While working digital modes, special event stations will append "NWS" to their call sign (e.g., N0A/NWS). 5.Station Control Operator: It is suggested that during SRD operations a non-NWS volunteer should serve as a control operator for your station. 6. Event and QSL Information: The National Weather Service will provide event information via the internet. Event certificates will once again be electronic and printable from the main website after the conclusion of SRD. 7. Log Submission: To submit your log summary for SRD use the online submission form. Deadline for log submission is January 31, 2019.